COMEDK UGET 2019 Mock Test has been released. Preparation Tips is comprised of time management, study material, revision, etc. COMEDK UGET is the renowned entrance examination conducted for admission to the undergraduate engineering courses. This entrance examination offers almost 20,000 seats in 150 member institutions of COMEDK. The candidates who are applying for COMEDK UGET can take the help of this article for preparation. This article provides some tips & tricks How to Prepare for COMEDK UGET 2019. COMEDK UGET 2019 Mock Test is available for practice now. Click here to practice mock test. It is the demand of every student to pursue higher education from the top colleges and for admission in the top colleges; one must have a good rank in the entrance examination. By keeping all these things in our mind, we facilitate the students with some useful tips and guidelines for preparing the exam. Before start your preparation, first of all familiarizes yourself with the complete syllabus and examination pattern. Thereafter design your time-table so that every subject will get the proper time for preparation. You may also take the help of previous year examination paper for familiarizing yourself with the type of questions asked in the examination. More focus on the topics in which you are weak and requires a lot of attention. If your basics of any subject are not clear then, it is obvious that at any how you can’t score good marks in that subject. You can clear your basics by start your studies with the initial level, don’t look for advanced until you are not able to gain basic knowledge. Make regular practice as your favorite hobby. Mathematics is the subject that needs practice consistently. If you skip some days, then after some time you are not able to solve the problems. So, practice on a regular basis is the must. Memorizing every formula is difficult to do one thing, write all the important formulas in paper and whenever you get the time, revise them. Don’t take stress; try to avoid it as it may affect your heath as well as your performance. Take enough sleep and healthy food that will sharpen your memory and keeps you fit. Try to take rest of few minutes after every hour, it increases your concentration and interest. Right study material is very important for obtaining good marks. At Sarvgyan, we have posted the COMEDK UGET books for better preparation. Also, we have mentioned previous exam question papers; the candidates can refer these books and solve previous years question papers. Practice previous year question paper as much as possible, it will boost your confidence level as well as enhance your speed and knowledge. Don’t skip important topics and chapters. Try to complete the whole syllabus 2-3 days before the examination and reserve your last 2-3 days for revision. Physics, Chemistry, Mathematics section of COMEDK examination will come from your 12th standard syllabus so, prepare well from there. At the time of attempting the examination, time management is very necessary. Maintain your speed and complete the examination with full concentration. In case of any query regarding How to Prepare for COMEDK UGET 2019, you can ask us by commenting below. May I give comedk exam for medical? Can u pls upload the ans for comedk mock tests1,2,3 2018.pls as soon as possible. I am writing my 12th class exams. that will end on 19th April. may I plz knw the syllabus and books should I prefer. I have very few days left. Do we need to submit separate application form for medical admission with COMEDK other than NEET? where could i get the result or answer key of the mock test? Are the previous solved papers for free on log in? Please tell which is the best book for comedtk 2016 preparation ? You can check COMEDK UGET 2016 Books. do we hav to study 11 th syllabus?? 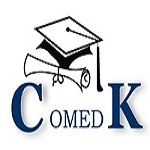 You will get the COMEDK 2016 syllabus from here. I’m writing my 10+2 CBSE examination this March.Can I still apply for COMED-K before getting my result? 1:- cut off in comedk uget . 2:- if 11th syllabus is included or not . Which application number add annexure4 form? 1. I am 2014,12 passed out.Am i eligible for comedk uget 2016? 2. Syllabus is of only CLASS 12..???? Yes the syllabus will be from class XII standard only and you can check the eligibility criteria from its official site. what is the minimum %ge to be scored??? We cannot predict the minimum percentage. Let me know whether …..is there only syllabus of 12 class in comedk ug exam ?? ?